October 3, 1990: the day that East and West Germany reunified. It’s a day celebrated by many, a day in which family members could see each other again after, in some cases, decades apart. It’s now a day celebrated throughout Germany as a national holiday, named Tag de Deutschen Einheit – Day of German Unity. It’s a day of joy for the whole nation. For one organisation, though, the feelings are not of unbridled joy. Dynamo Dresden look back on most of this period with misty-eyed nostalgia, having spent a large number of the pre-unification years as the best club in East Germany; not merely the best supported, but also the most successful and financially secure. Although there has been a team in Dresden since as far back as 1874 with Dresden English – widely believed to be the first proper club outside the United Kingdom – Dynamo Dresden in its current form was founded in 1953. With strong ties to the East German police from the outset, they enjoyed advantages that few other teams in East Germany could boast. Success wasn’t immediate, however, and the early years were not without their turbulence. Having enjoyed success under their various names in the first few years of their existence, Erich Mielke, the head of the Stasi – the secret police – was said to be unhappy that there was no successful team in East Berlin, the part of East Germany that he felt to be the most important. As Dynamo were the most successful team in the East, he decided to move them to Berlin and form Dynamo Berlin. This meant that just a few years after enjoying cup success and establishing themselves as one of the country’s leading sides, Dresden were now playing regional football. They had learnt the hard way that governmental support could never be permanent. The lower leagues in East Germany during this time were not of a particularly high standard and they were back in the Oberliga within five years of being in the fourth tier. It took a while for Dynamo to find their feet again back in the top flight, but once they did, they established themselves firmly as a force to be reckoned with. In the 1970s, Dresden won the league an impressive five times; in 1971 and 1973, and then three times consecutively between 1976 and 1978. 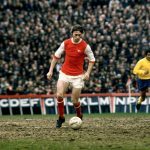 Not only that, but they were proving their worth on a continental scale, making the quarter-finals of the European Cup on four occasions during the same decade. They were defeated once by West German rivals Bayern Munich and three times by the most dominant side from England, Liverpool. However, Dresden were to learn once more that state support can be very fickle indeed. Celebrating titles was becoming a regular thing for them and, after one particular triumph towards the end of the 1970s, Mielke stepped into Dynamo’s dressing room with celebrations already in full flow. The celebrations came to a halt abruptly when he informed them, with more than a hint of contempt, that the more central BFC Dynamo would be champions from now on. His ‘prediction’ came true and, with the odd bribe of a referee or perhaps even opposition player, BFC Dynamo became the dominant force in East German football again. Dynamo Dresden’s golden era was over. Although Dynamo had certainly enjoyed some major advantages in being the State’s team during the 1970s, they had kept their distance and had avoided involvement in on-pitch matters. This changed, along with their switch of allegiance in the 1980s, and it became increasingly difficult for other Oberliga teams to compete with the State’s new team, BFC Dynamo, when there were referees and players alike on the Stasi payroll. Although Dresden continued to enjoy some success in the domestic cup, BFC won the league 10 successive times between 1979 and 1988. 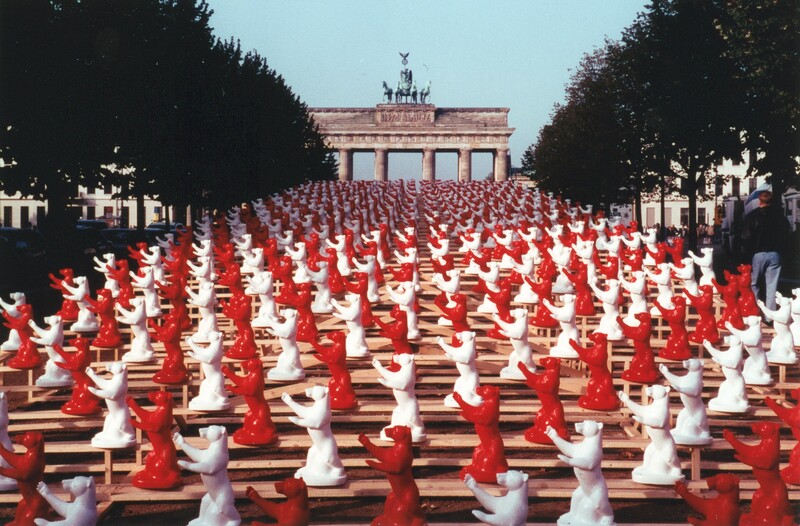 By 1988, though, the reunification of Germany looked a very real prospect. East Germany was the weakest it had been in decades, and the Stasi had more immediate problems to focus on than football. This allowed Dresden to sneak back ahead of BFC and end their 10-year dominance, with the ‘Beast from the East’ winning the last two Oberliga titles in 1989 and 1990. With Dresden fans having caused trouble in their defeat to Red Star Belgrade in the 1990/91 European Cup, however, the club were banned from Europe for the following season, and would never return. The fall of the Berlin Wall meant reunification was in order for German football just as it was in every other aspect of German life. This led to the end of the Oberliga, and as a result, the end of its Dynamo culture spearheaded by the state-backed teams such as Dresden and BFC, who had enjoyed huge advantages and favours from the Stasi. The East German clubs joined those from the West in the Bundesliga, a vastly competitive league. As a result of this tougher competition, Dresden found themselves having to fight hard against relegation right from the off. Having narrowly escaped the drop in their first couple of seasons in the Bundesliga, they rallied to finish 13th in 1993/94 with a decent team that included Manchester City-bound Uwe Rösler and Poland international Piotr Nowak, now the manager of Lechia Gdańsk. It proved to be a false dawn, however, and the following season they were relegated from the top tier. They haven’t returned since. There have been many ups and downs in the post-relegation years for Dynamo, but mostly downs. It is no coincidence that they were relegated soon after the Premier League was formed in England. Money was of increasing importance in football and Dynamo were one of many clubs throughout the continent that struggled to keep up. After being relegated from the Bundesliga, they were denied a licence to compete in the 2. Bundesliga due to financial irregularities and therefore had no option but to drop into regional football. They stayed there for over a decade; at times even the existence of the club was in question. 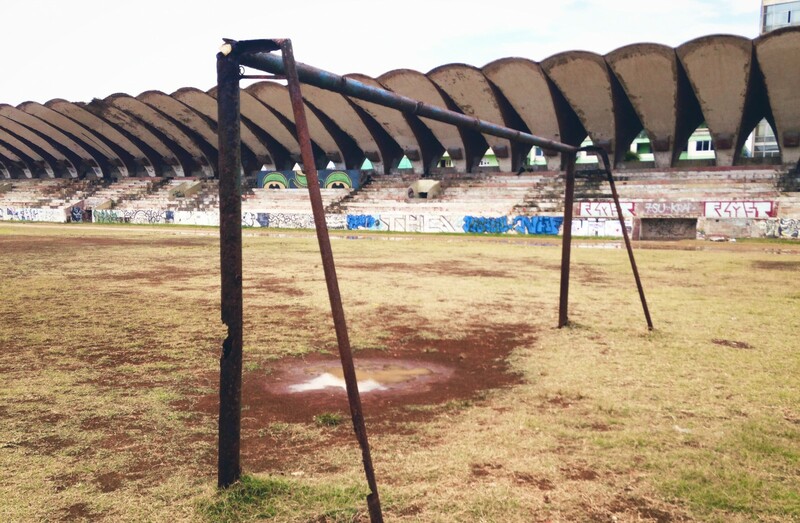 It was hard to see any remnants of the club that had dominated East German football for so long. They looked a shadow of that outfit, almost a tribute act. The lowest point came when, having spent most of the season managed by Englishman Colin Bell, they were relegated to the Oberliga Nordost-Süd – the fourth tier of German football. Gates were falling amidst some lacklustre performances on the pitch and also due to the success of the city’s other club, Dresdner. Once you hit rock bottom, though, the only way is up. A club of Dresden’s size surely couldn’t stay in regional football forever and, having fought their way back up to the Regionaliga, they set their sights on the 2. Bundesliga. They found their way back there in 2004 but were relegated again in 2006. It was typical of the modern Dresden. As with so many other football clubs, it’s the hope that kills you. They spent another five long years in the Regionaliga, before being promoted back to the second tier despite sacking their manager, the aptly-named Ralf Loose, just a few games before the end of the season. The six years since have been mixed for Dynamo. They have regained the level of support they had in their heydey, regularly attracting between 25,000 and 30,000 fans – an incredible number considering they’re watching a team that hasn’t been in the top-flight for over 20 years. 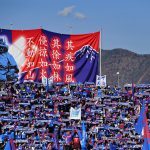 Their K-Block ultras have become notorious for creating the best atmosphere outside of the Bundesliga and gained worldwide notoriety for creating a 450-metre-long banner that reportedly cost in excess of €25,000 to make. The banner read Der Verein Mit Den Besten Fans – ‘The Club With The Best Fans’. You can’t argue with that. On the pitch, however, it’s not quite so impressive. 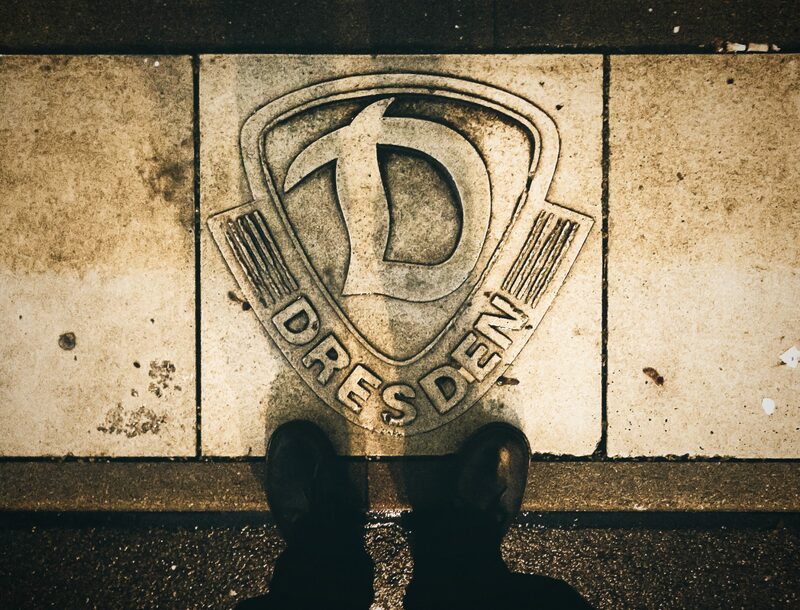 While Dresden have re-emerged from their slump that has seen them spend so much of the post-reunification years playing regional football, they still look as likely to be relegated as promoted on a season by season basis. Most fans of clubs in the 2. Bundesliga claim that it is the best second-tier league in the world, and it is certainly extremely competitive. Last season Dresden finished fifth, but they were the same number of points off Eintracht Braunschweig in the playoff place in third as they were from being relegated. This season they find themselves with similar ground to make up on the top three; certainly not an easy task. It’s hard to predict what the future holds for Dynamo Dresden in a unified Germany, but one thing is for sure, it won’t be boring. With sides like Fortuna and Kaiserslautern, the 2. Bundesliga has become like a graveyard for sleeping former giants; a graveyard where any of them could awake from their slumber. Dynamo Dresden fans will be hoping that the next giant to wake up is wearing their famous yellow shirt.